Saroo (Sunny Pawar, Dev Patel) grew up in a small village in India. He idolized his older brother Guddu (Abhishek Bharate). When Guddu would go out to earn money to help their mother, Kamla (Priyanka Bose), provide for her family, Saroo would always want to go with him. When Kamla was out working one day, Guddu was going to another village for a few weeks for work. Saroo convinced Guddu to bring him along to help. When they arrived at the village, Guddu left a sleeping Saroo at the train station while he went to see about the work. Waking up in the middle of the night, scared and alone, Saroo climbed into an empty train to sleep. When he awoke, the train was barreling along the Indian countryside. When he was finally able to get off the train, he was 1600 kilometers away in Calcutta. Left to fend for himself at the age of 5 on the brutal streets of Calcutta, Saroo was eventually placed into a state-run home for children. A social worker at the home was able to find an adoptive family in Australia to take him in. Sue (Nicole Kidman) and John Brierley (David Wenham) took Saroo in and raised him as their own as he grew into a young man. While attending a class on hotel management, Saroo starts to have memories of his childhood in India. His girlfriend, Lucy (Rooney Mara), tries to help him track down the village he came from so he could find his family. As his search intensified, with little success, his became so engrossed in his quest that he withdraws from everyone who cares about him. Based on a true story, Lion tells a heartbreaking tale about a young boy’s travel through a strange city in which he doesn’t speak the same language on a journey to find his family again. According to the text at the end of the film, this is an all too frequent problem in India. With several big names being mentioned for awards this year, I feel there is one that is being overlooked. At the age of 8, in his first film, Sunny Pawar outperforms many well-seasoned actors. As young Saroo, Sunny is able to show the innocence, fear, and determination that the real Saroo must have felt as he wandered the streets of Calcutta. To display the range of emotions as convincingly as he does is impressive for such a young actor. His performance outshines that of Dev Patel, who plays the older Saroo. Based on the book written by Saroo, the story is sad, but well told. The cinematography accents the tone of the film, with broad landscapes of the barren countryside contrasting the chaotic, frightening city seen through the eyes of Saroo. It is punctuated with a score that helps set the tone of the film. Director Garth Davis did an excellent job putting it all together. 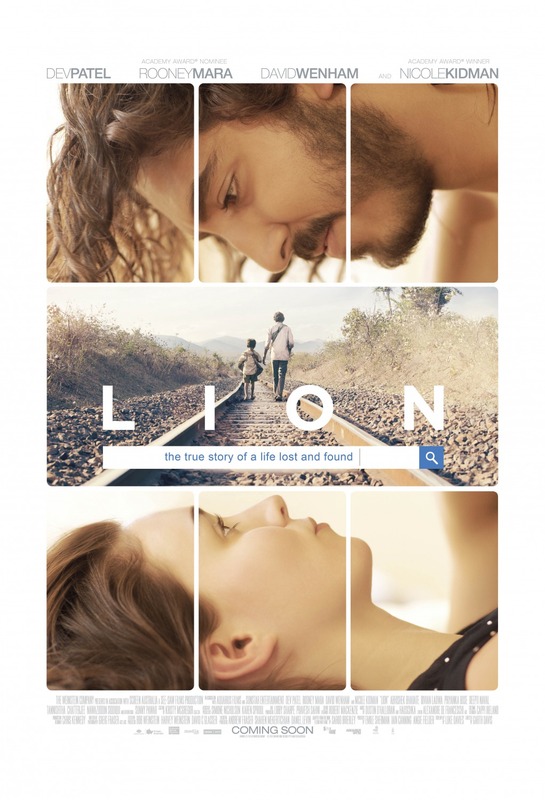 Lion is a story of loss, desperation, and hope. With an outstanding performance by its young star, it is a well-crafted film that I would definitely recommend. As to the meaning of the film’s title, you will have to wait for the ending.